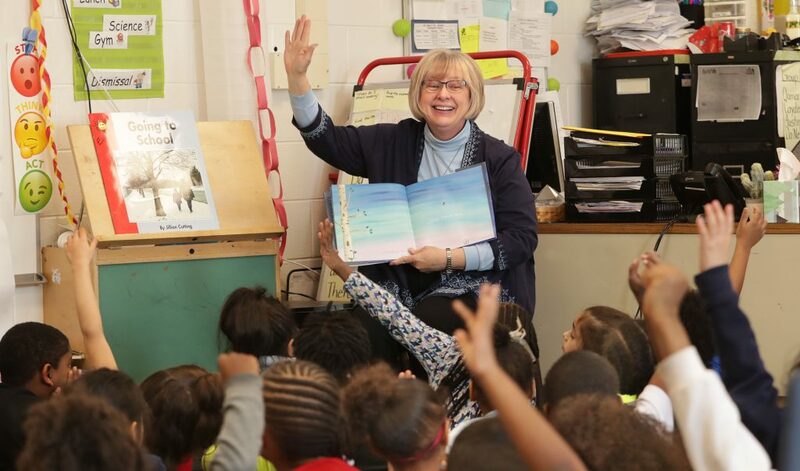 LANSING — State Sen. Rosemary Bayer (D–Beverly Hills) celebrated Reading Month with students and teachers across Oakland County last month — visits that showcased kids’ excitement about reading and underscored the need to invest in education. Sen. Bayer visited a total of 18 elementary school classrooms in Pontiac, Oxford, Avondale, Clarkston, Lake Orion and Beverly Hills. “It is exciting to see our kids so enthusiastic about reading and watch our incredible teachers help students continue to build literacy skills — something that will serve them well as they continue their education and find a career path that is right for them,” Sen. Bayer said. Conversations with teachers and administrators also underscored the need for better investment in Michigan schools. Participating schools included Walt Whitman, Clear Lake, Oxford, R. Grant Graham, Beverly, Pine Knob and Blanche Sims Elementary Schools. The senator will continue to read in local classrooms throughout the year. To schedule a classroom reading visit from Sen. Bayer, contact her office at (517) 373-2417 or SenRBayer@senate.michigan.gov.